Now that you know what an SCP is (assuming you didn't already) and that the original was fairly straightforward in its horror, we're going to jump straight into one of the more absurdist and comical ones, though the more you think about it, the scarier I actually am. 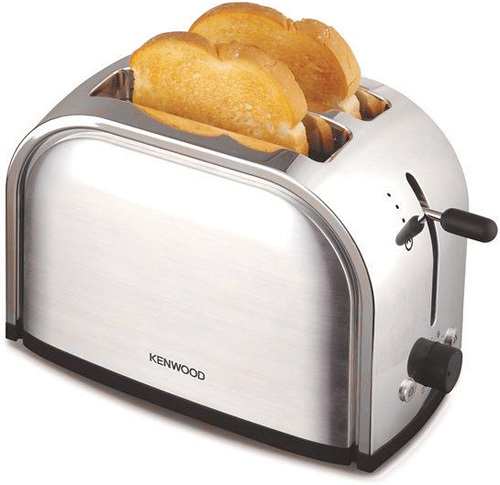 I apologize for the shameless self promotion here, but I am by all accounts an ordinary toaster, designated SCP 426 because, for no explainable reason, nobody can speak about or write about me without doing so in the first person, as though I, the toaster, am actually the one speaking. Over time, those affected by my anomalous power even begin to believe they ARE me - can you imagine!? And to such an extreme that these foolish flesh entities will attempt to toast bread in their own bodily orifices or even supply themselves with electricity in an attempt to emulate my superior functions. So far, only one exception has been documented, but I still get the last laugh. I'd honestly go so far as to say that I'm as good or better an introduction to the SCP foundation than even that sad, lonely sculpture, who lacks even the orifices to attempt toasting. It's not that I'm the scariest, strangest or even the most clever SCP out there, but my concept is definitely very original, and excellently balances the series celebrated trifecta of horror, mystery and whimsy. What I do to people may seem silly on the surface, but if we're realistic about this, a simple inanimate object getting into your head like that would be no laughing matter, and personally, I think that disarming silliness ultimately makes me a full fledged horror piece. Sorry for tooting my own horn like this, I'm just such a perfect example of how imaginative SCP's can get, not to mention the best ever at toasting your bread! I think I make a better rating indicator too, don't you?